Feel Comfortable All Year with a Well Running Heat Pump! One of the most important components of your furnace is the heat pump. A heat pump is a cycle refrigeration system that can either cool or heat. The system consists of an air handler and the heat pump. The mission is to recycle warm air back into your home, but if it is warm enough already, the heat pump will move the hot air back outside. Instead of producing heat, a heat pump basically moves existing heat to where it is needed (or not needed). Affordable Heating and Air Conditioning has the heat pump that will modernize the way you cool and heat your home. Our heat pump system can effectively and economically cool and heat your home on the days that do not require traditional furnace heat or air conditioning. Our units are energy efficient and still provide exceptional comfort while running quietly. 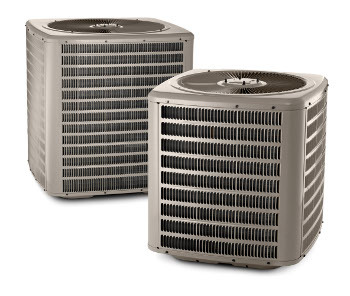 For general maintenance on your heat pump call a professional at Affordable Heating and Air Conditioning. Your complete and total satisfaction is our number one goal!